Laura Mastroberti is the ADI Global Distribution Expo Supervisor. 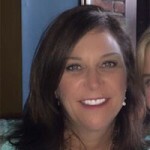 In this role she leads the Expo team in the planning and execution of the ADI Expo Training Series program with a focus on driving vendor participation and customer engagement. Laura has more than 20 years of marketing, communications and event strategy experience. Prior to joining ADI, she served as the Director of Marketing and Communications at Speco Technologies and previously held a variety of marketing, advertising and event planning roles with Newsday, CMP Media Inc., and Ziff Davis Media.